The last stop before the Dovrefjell mountains. Peek into the pilgrim farm Budsjord in the Gudbrandsdalen valley, where you can follow in the footsteps of medieval pilgrims – and try local moose tacos! A walk along the pilgrims’ route is also a walk through Norwegian history. Along the way, you pass one cultural treasure after another. Budsjord pilgrim farm is one of them. When architect Erik Langdalen bought Budsjord in 2012, he returned to his childhood paradise. His grandfather grew up just 15 minutes away, and they often passed by the farm for an afternoon coffee break. And the long table in the old kitchen happens to be where Erik and his partner were sitting when he found out that the farm was for sale – but not just to anyone. It had to be someone with a connection to the farm. Budsjord is a unique farm with many well-preserved houses and buildings. 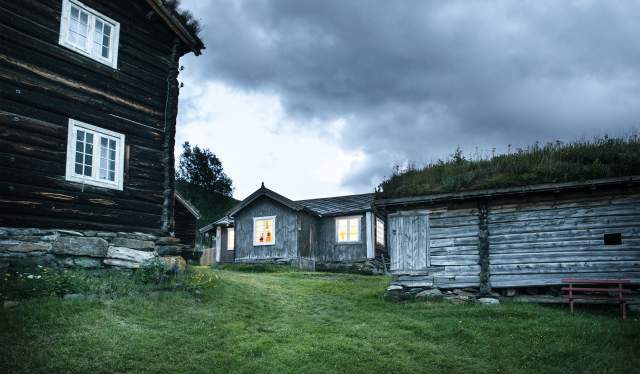 Just as it was in the old days, the historic farm is the last stop before the tough hike across the Dovrefjell mountain range. The previous owners of Budsjord opened the farm for local events and pilgrim accommodation in 1995. Erik has restored many of the farm buildings with the help of local craftsmen, and there are several accommodation options. Stay in a double room with a ready-made bed or bring your own sleeping bag and sleep in a shared room with other pilgrims. “A pilgrim is a special type of guest, who often brings a certain calm”, Erik thinks. To make sure Budsjord is a lively place for both guests and the locals, Erik hosts exhibitions and concerts. He has also started a major project to photograph and record everything on the farm, with the intention of eventually turning the barn into a museum. 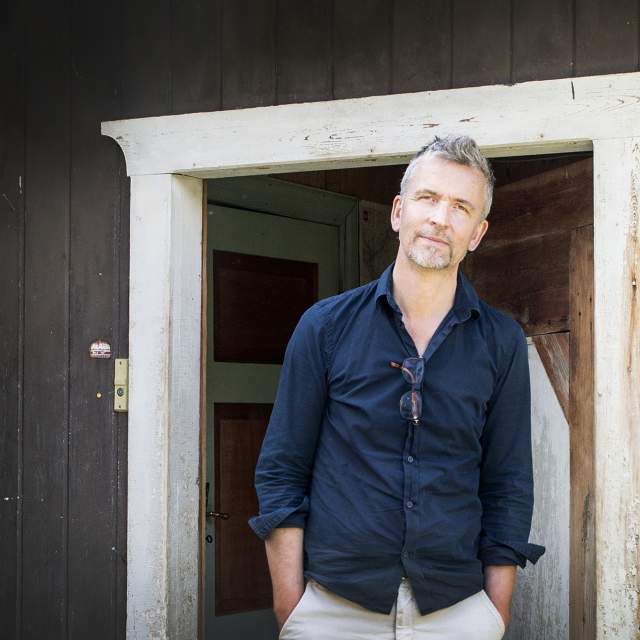 Erik is a professor at the Architecture and Design Academy in Oslo, and he often brings his students to Budsjord so that they can learn about the local building traditions. Erik collaborates closely with local manufacturers in order to serve dishes with a strong local and traditional flavour. When we visited Budsjord we were served moose tacos, accompanied by specially imported wine from Tuscany. “It may sound odd to serve tacos here. But it is, in fact, a typical dish in Dovre, known as Morr”, Erik says with a smile. Moose tacos are made of moose meat fried with onions and potatoes, rolled into a flatbread called lefse and served with sour cream. On elegant blue-patterned plates, it is the best taco we’ve ever had.